In addition, some cartoon addons may harm your computer or be used by hackers to invade your privacy. It’s important to choose the ones that will allow you to get the most content without being unsafe. If you’re not sure which addons to install, this guide will help you choose the ones that are the best for your viewing needs. 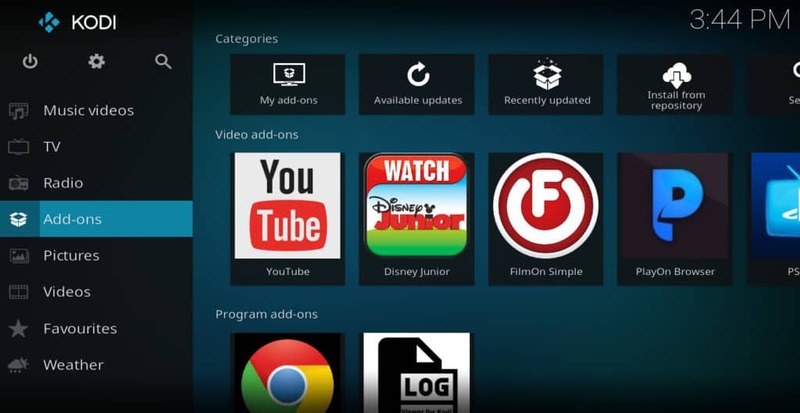 Kodi is a free software media player designed by the XBMC foundation. It uses apps called “addons” to find and play videos stored on the internet. If the content you are looking for is on the web somewhere, Kodi can usually stream it. Kodi can be installed on a Windows or Mac PC, Apple TV, Amazon Fire TV, Nvidia Shield, Android or iOS smartphone, or Roku. Kodi has a reputation for being used to stream pirated content. 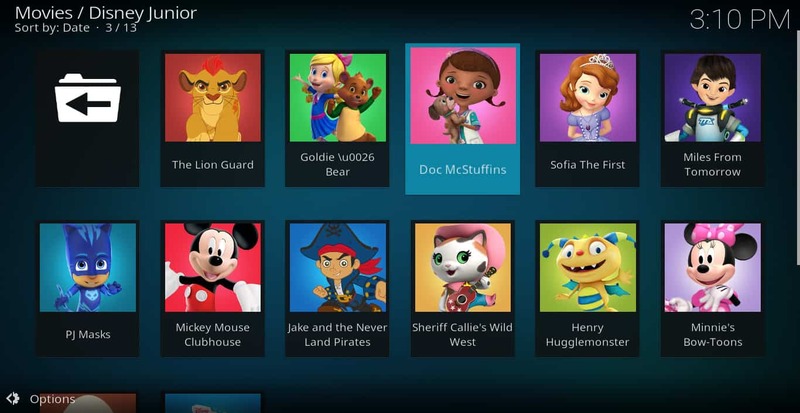 However, there are plenty of Kodi addons you can use to stream legitimate content, including several that are made specifically for watching cartoons and other children’s programs. Most Kodi users who stream pirated content use VPNs to hide their activities. However, there are good reasons why all Kodi users should employ a VPN while streaming, even if they only stream from legitimate sources. ISPs have been known to throttle speeds of particular streaming sites when they think the site is using too much bandwidth. This can lead to Kodi buffering problems. A VPN prevents this because it makes your data appear to be coming from somewhere else, not from the streaming site itself. However, some VPNs are not fast enough for video streaming, while others don’t work on all devices. Some also keep logs of users’ activities, which can be a privacy concern. For these reasons, we recommend IPVanish for Kodi users. IPVanish works on all popular devices, including the Amazon Fire Stick. In our tests, we have found it to be very fast when compared to others. It also keeps no logs.These features mean less buffering, higher-quality video, and more privacy and security for users. The following is a list of addons that stream cartoons from official content-providers. These addons provide only authorized streams that respect the rights of copyright-holders. Because of this, they provide the highest quality picture and sound and are very easy to use. If you want to easily find cartoons to stream through your Kodi, these are the addons we recommend using. If you want free cartoons for children, there’s no better place to look than YouTube. It’s full of channels by popular children’s networks like Disney Jr. and Nick Jr. Each of these channels has short clips of their most popular shows, which can be turned into playlists that your child will watch over and over again. 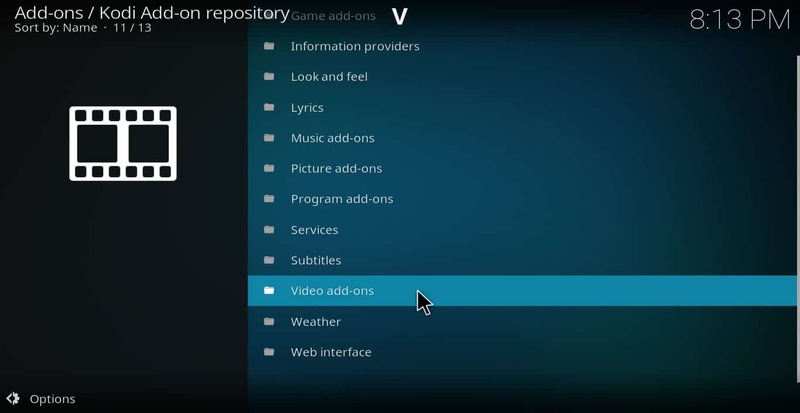 The YouTube Kodi addon is located in the official Kodi addon repository. Disney Jr. is a channel made specifically for preschoolers. In order to watch this channel live, you’ll need Playstation Vue or one of the other IPTV services like FuboTV or Sling. However, Disney Jr. also has plenty of free content on its website, including many music videos starring Mickey Mouse, Elena of Avalor, Puppy Dog Pals, and other Disney Jr. stars. The Disney Jr. addon allows you to access this free content. The Disney Jr. addon can be found in the noobsandnerds repository. BBC iPlayer provides all of the BBC channels online, including CBeebies. CBeebies is the home of several popular cartoons such as Sarah and Duck, The Numtums, and Nelly and Nora. Most episodes of these shows are available on-demand as well as live, so there’s hours of programming available. You can only legally watch BBC iPlayer if you live in the U.K. and have a valid TV license. If you live in the U.K. and have a license but are traveling outside the U.K., you will need a VPN to get around geoblocking. 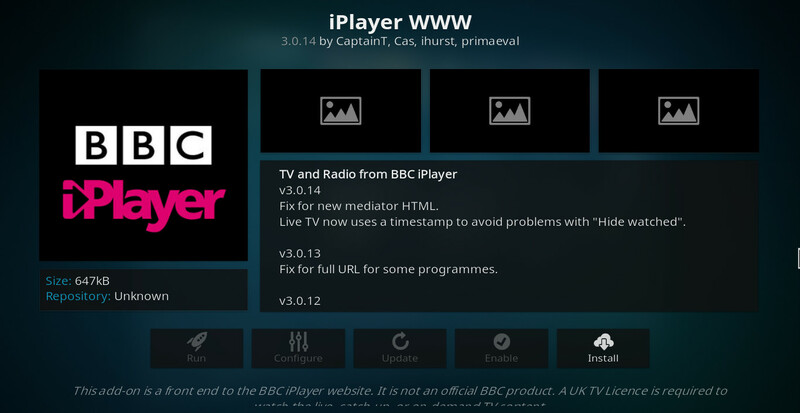 BBC iPlayer can be found in the official Kod addon repository. 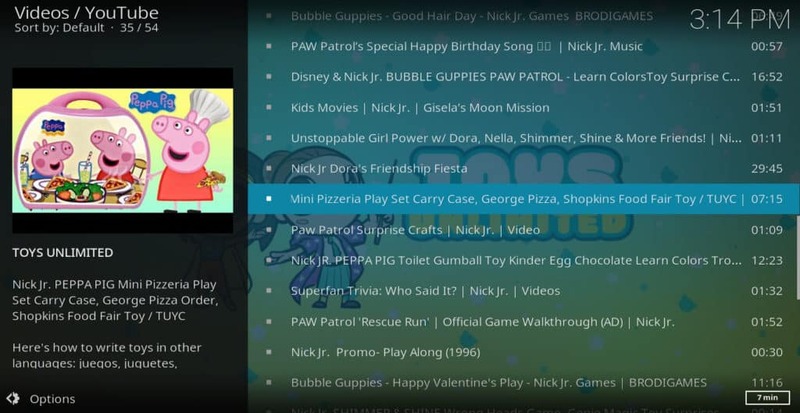 Chuck Vanderchuck, Curious George, Daniel Tiger’s Neighborhood, and Dinosaur Train are just a few of the cartoons you will find on the PBS Kids Kodi addon. Because PBS is a non-profit service subsidized by the U.S. government, it doesn’t charge for any of the content on its website. As a result, you can get many hours of entertainment from PBS Kids. 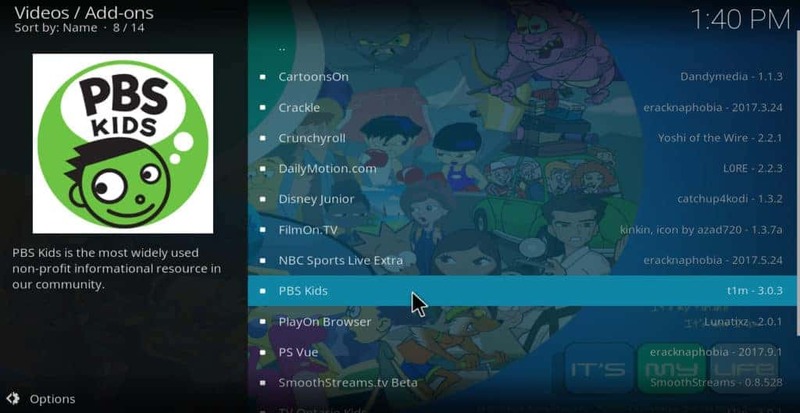 The PBS Kids Kodi addon can be found in the official Kodi addon repository. If the rest of these addons do not provide enough cartoons for you, the library of cartoons available to you can be expanded greatly by using a for-pay IPTV service. 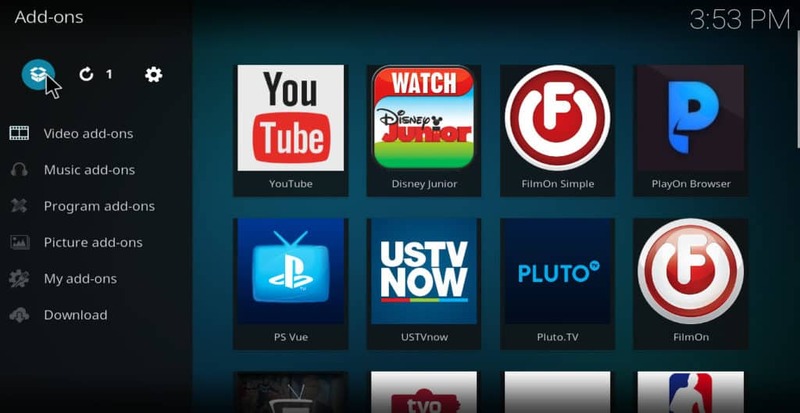 This is where the PlayStation Vue Kodi addon comes in. PlayStation Vue gives you all of the same content you would get from a cable TV subscription, but without having to rent a cable box. For $39.99/month, it provides Cartoon Network, Disney, Disney Jr., and Disney XD. In addition to allowing you to watch these channels live, the service also lets you watch some of the episodes on-demand. You can sign up for an account at this link. The PlayStation Vue Kodi addon can be found in the official Kodi repository. If you look at articles from other websites about Kodi addons for cartoons, you’re likely to come across some of the ones listed below. The following addons are known to stream mostly pirated content. The sources they stream from may be taken down at any moment due to copyright complaints, leading to broken links and frustration for users. They also often have poor-quality streams. For these reasons, we do not recommend these addons. Cartoon HD is part of the Xunitytalk repo. It is an addon that scrapes cartoon content from websites all over the world.. While some of the content available on it may be public-domain works, the vast majority is pirated. The sources that Cartoon HD streams from are often unreliable, and the security and privacy of their servers is unknown. Streaming cartoons using Cartoon HD carries significant risks that the official addons listed above do not carry. For these reasons, we do not recommend Cartoon HD. Cartoon Crazy is part of Lucifer’s Repo. Like Cartoon HD, it searches known pirate video-streaming services all over the world to find cartoons the user is searching for. We do not recommend Cartoon Crazy. Many of Cartoon Crazy’s streams are low-quality, and it can take a long time to find a link that actually works. It pales in comparison to the quality of official streams listed above. ToonMania is part of the MetalKettle repository. Like the others in this list, it takes the user’s input and searches known hosts of pirated streaming media in countries like Russia and Cuba until it finds what the user is looking for. ToonMedia streams from sources that are very risky. The data you send to them can be intercepted by hackers and used to steal personal information about you from your hard drive. 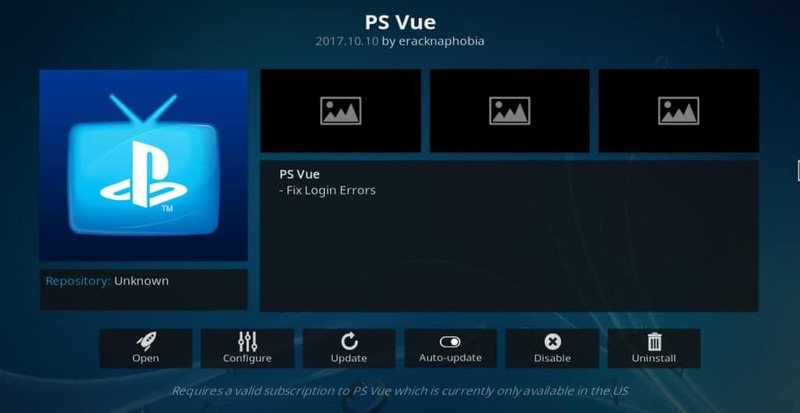 In addition, the addon itself can be changed by its creator and used maliciously if you have your Kodi set to accept automatic updates. This can happen with any addon, but it’s especially likely with one that streams from rogue websites that pop up and disappear on a daily basis. Super Cartoons streams videos from supercartoons.net. It has quite a few Looney Tunes episodes and some old Disney cartoons as well. Super Cartoons is not in the same category as many of the other unofficial addons on this list. It streams from one source instead of many different ones. While the other ones are intended to allow users to get new episodes of popular cartoons that have obviously been pirated, Super Cartoons only streams very old cartoons. The copyright on these cartoons may have expired, making them public domain. However, none of the episodes on the site are part of the list of known public domain Looney Tunes episodes. We do not know whether Super Cartoons is a legitimate streaming site, and we do not know whether there are security risks associated with using it to stream content. Because of these problems, we list it here as an unofficial stream. We currently do not recommend using the SuperCartoons Kodi addon. 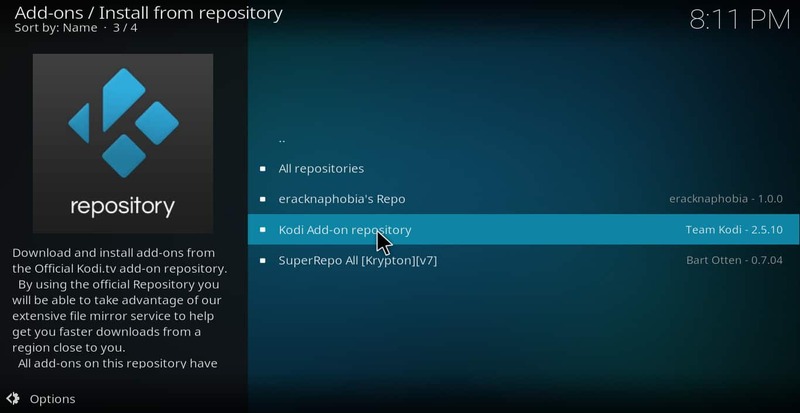 To install a Cartoon Kodi addon, you first have to find out whether it is in the official Kodi addon repository or a different one. For any addons that are part of the official repository, follow these steps. Scroll down the list until you find the addon you are looking for, then click the addon. That’s all you need to do to install an addon from the official repository. If the addon you are looking for is in a different repository than the official one, you will not be able to install it without first installing that repository. However, installing repositories is pretty simple. 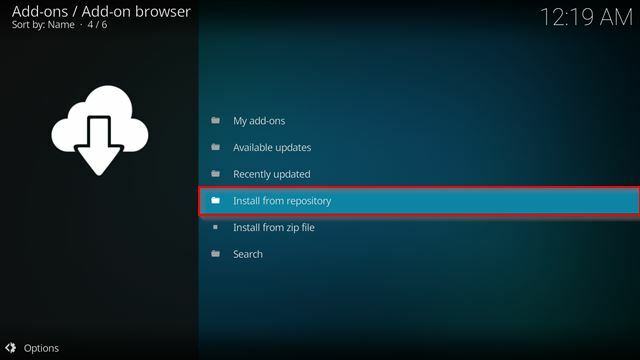 Here are instructions for how to install the SuperRepo repository. The same steps used in this article to install SuperRepo can be used to install any repository, as long as you know the URL of the repository. If you don’t know where a repo is located, you can usually find it by just typing a query like “where is (name of repository) located” into a search-engine. All of the addons we’ve recommended in this article are from the official repository except BBC iPlayer, so you won’t have to install a repo for them. BBC iPlayer is located in noobsandnerds, which can be found here: http://noobsandnerds.com/portal. If you want to stream cartoons using Kodi, it can seem complex. There are many different addons, all with different content available. Some of the addons are fairly safe while others may pose greater security and privacy risks. Follow the information in this article to make sure you choose the addons that are best for you.